The Old M Street Bridge. On a cold December day in 1935, thousands of the citizens of Sacramento, California gathered at the end of M Street to celebrate the dedication of their city's new landmark. An accumulation of sixteen months of hard work, almost one million dollars and cooperation between local, state and federal government agencies along with private contractors, the Tower Bridge was ready to be dedicated and opened to the public. The first vertical lift bridge on the California Highway System, the Tower Bridge was described as "inextricably linked with symbolism of the future." Hailed both for its architectural design and streamlined appearance, the Tower Bridge was a welcomed addition to the landscape of a rapidly growing community. Built to decrease a growing traffic problem and beautify the main entrance to California's Capitol City, the Tower Bridge instilled pride in a community trying to become a major city. Frank Merriam, the Governor of California and the last speaker at the dedication ceremony of the new bridge, stood at a podium located at the foot of the great new structure, looked out over the mass of people gathered, gazed at the State Capitol ten blocks away and stated, "California during the depression has been a bridge building state. And the bridge right here is the most beautiful." The Tower Bridge was built to replace the old M Street Bridge. Constructed in 1910 by the Sacramento Northern Railroad, the old steel swing span M Street Bridge was built to create easier access across the Sacramento River to the heart of Sacramento. The M Street Bridge was built to accommodate the heavy load of passenger and freight railcars that were coming in and going out of Sacramento. Sacramento in 1910 was a much different city than the Sacramento that welcomed the Tower Bridge in 1935. Sacramento in 1910 was a city accessible mostly through passenger trains, and the city infrastructure was built to accommodate this. In 1910, most people did not own automobiles, but rather traveled by railcars, similar to the light rail system Sacramento offers today. The city was developed around the railroad traffic filing through Sacramento. Sacramento was the gateway between San Francisco and the rest of the nation, as well as a key stop on the north and south railroad route connecting Northern California with northern cities like Portland, Oregon. More importantly, Sacramento was the hub of the Sacramento Northern Railroad that linked San Francisco to Chico and the other cities of Northern California. The M Street Bridge was not built to carry heavy loads of automobile traffic across the Sacramento River. Simply put, the M Street Bridge was built for railroads first and automobiles only as an afterthought. By 1932, the M Street Bridge had become obsolete and could no longer handle the automobile and rail traffic entering and exiting Sacramento. City officials began seriously looking into the idea of building a new Sacramento River project. On June 6, 1932, the Sacramento City Council unanimously voted to form a committee to look into building a new Sacramento River crossing and protect Sacramento's interests in any such undertaking. Even though the M Street Bridge was structurally sound, there were many reasons why the M Street Bridge had become obsolete. Automobile traffic over the M Street Bridge had become a terrible problem. The M Street Bridge provided for only one narrow lane for automobile traffic each way on the north side of the bridge. 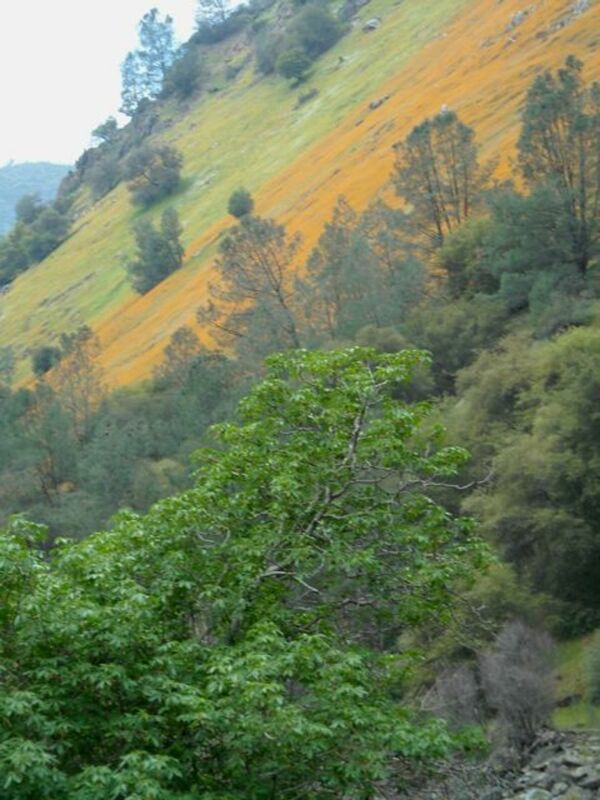 The transcontinental highway, US Highway 40, the interstate that ran through downtown Sacramento, was becoming a major East-West thoroughfare connecting the Bay Area with Lake Tahoe and the other cities of Northern California, as well as the rest of the nation. "It links Sacramento with the east and the west, being part of a highway that extends from coast to coast." The M Street Bridge provided only one lane for traffic each way and the lanes were narrow and bumpy. Earl Lee Kelly, the Director of the California Department of Public Works, remarked about the need to replace the M Street Bridge stating, " Since the River Crossing is at the main entrance for the highway traffic entering Sacramento from the west, the old bridge proved entirely inadequate because of the narrow rough roadways, the uneven surfacing of the approaches and the long delays due to the opening of the swing span." The railroads used the south side of the bridge and automobile traffic shared the north side of the bridge. The trains switched tracks at the entrances of the bridge causing delays and dangerous conditions for a growing community with a growing traffic problem. Sacramento during the 1930s was a rapidly growing community. State and federal agencies were swelling under new government programs to battle the effects of the Great Depression, and the City of Sacramento was swelling as well with new state workers to fill these newly created government jobs. "Beginning in the Depression years, national and international events prompted the federal government to pour millions of dollars into Sacramento's economy; creating and sustaining growth." Between 1910 and 1932, the population of Sacramento rose from 45,000 residents to over 100,000 residents. Consequently, as the number of residents living in the Sacramento area rose, so did the number of automobiles. In the same time period, automobile traffic across the M Street Bridge increased over 700 percent and the average speed on the bridge rose by over 500 percent. This increase in automobile traffic and speed made the M Street Bridge more crowded and dangerous than before. A survey conducted by the Sacramento City Planning Commission between June 27, 1932 and July 11, 1932, reported that a daily average of 4,315 automobiles crossed the M Street Bridge to Broderick and West Sacramento. The survey also found that an average of 4,396 automobiles crossed the M Street Bridge into Sacramento for an average daily total of 8,711 automobiles crossing the M Street Bridge each day. The increase in people and cars made the M Street Bridge dangerous because the automobile and rail traffic shared much of the same space on the bridge, especially on the entrances to the bridge. During the early 1930s, cars became more readily accessible to everyone. Even though the nation was in the midst of the Great Depression, cheaper cars, especially cars known as "jalopies", were being sold in the region at record rates and consequently more cars were being driven in and out of Sacramento. The increase in cars flowing through the entrances to the M Street Bridge provided more opportunities for accidents. Between 1926 and 1932 there were fourteen reported automobile versus train accidents within the trusses of the M Street Bridge. Furthermore, between 1930 and 1932 there were twenty-five reported automobile accidents on the approaches to the M Street Bridge. By the middle of 1932, it was obvious that M Street Bridge could no longer accommodate the amount of traffic entering and exiting the city. Charles W. Deterding, Jr., a Sacramento County Executive and consultant to the Sacramento City Planning Commission, commented on the M Street Bridge's inadequacy stating, "For a considerable period of time the citizens of Sacramento realized the old bridge crossing the Sacramento River at the foot of M Street was entirely inadequate and unsatisfactory to serve the modern high speed automobile traffic of the present day." The traffic problems caused by the inadequacy of the M Street Bridge were also seen as economically damaging to the City of Sacramento. City officials worried about the economic consequences of the traffic problems at M Street and feared that people would not want to come to the downtown area and to the Central Business District of Sacramento to shop and conduct business if the traffic conditions did not improve. City officials feared that if people did not want to go downtown, businesses and merchants would leave the downtown area, taking their tax dollars with them. A report by the Sacramento City Planning Commission in 1932 stated, "Without adequate facilities for vehicular transportation to and from the Central Business District, other areas are developed, attracting business which normally should be located in the Central Business District." Simply put, the City Planning Commission felt that the traffic problems had to be solved in order to keep people shopping and doing business in the downtown area. The value of the State Capitol Building and its possible development to the westward on "M" Street is of inestimable value to the community and although "M" street terminates at Tenth Street, it is felt by many that the value of the State Capitol Development to the community is worth more than disadvantages caused by a divergence of vehicular traffic to other streets. To divert vehicular traffic away from M Street would mean moving people away from the Central Business District. The City Planning Commission Report stated, "An additional approach to the City from the west will produce a change in the location of vehicular traffic flow with its resultant affects upon existing and future economic conditions along the new traffic routes." The City of Sacramento felt it had to keep traffic entering and exiting the city to a minimum to reduce the inconveniences felt by people trying to get to the Downtown and Central Business District of Sacramento. The City Planning Commission's Report calculated that the delays occurring at the M Street Bridge were costing motorists crossing the bridge a combined average of $654 a day. City officials believed that by improving the M Street entrance to the city, people would be more inclined to come to the Central Business District to shop and conduct business. They also believed that relieving the traffic problems around the entrances of the city leading to the Central Business District would attract more businesses as well as keep the business already located downtown and in the Central Business District where they were. Similar to wanting to improve access and traffic conditions to the Central Business District and the entrances to the city, Sacramentans were eager to improve the appearance and reputation of the city. The M Street Bridge did not help either. The western entrance to Sacramento was narrow and the high concrete sidewalks dominated any view of the city and made conditions dangerous for the increasing amount of motorists approaching the bridge. The road was covered with railroad tracks that made the approach bumpy and damaging to the many poorly made automobiles crossing the bridge. The problem at M Street was so bad that Thomas Reardon, a Sacramento County Commissioner, stated, "There is no question the westerly entrance to Sacramento is the worst approach to any city on the State Highway System." City Officials worked hard on improving the city's image and reputation. The officials of Sacramento wanted the city to appear worthy of being the Capitol of California. The City Planning Commission Report stated, "The City of Sacramento is vitally interested in entrances to the City, probably to a greater degree than is the average city of like size." The City of Sacramento was already underway on a downtown revitalization program that included improving the image of M Street to fulfill the vision of Senator Hiram Johnson who ". . . once said M Street someday will be the Pennsylvania Avenue of California." Replacing the old M Street Bridge was the solution to decrease the traffic problems and give the city a more beautiful entrance. On June 16, 1932, the Sacramento City Council passed a resolution requesting that the Sacramento City Planning Commission prepare recommendations on possible locations of a proposed new bridge. In turn, the City Planning Commission began researching various locations around the Capitol area that would be feasible, cost effective, and increase the beauty of the city while decreasing the traffic. The City Planning Commission spoke with officials from the State Department of Public Works as well as federal officials. There was even a conference with officials from the War Department. The army was interested in any bridge construction because as the City Planning Commission Report stated, "The Secretary of War and Chief of Engineers of the United State Army in [sic] charge of Rivers and Harbors have an interest, in that it is their responsibility to protect and safeguard river navigation." The City Planning Commission spent four months searching for the best place to build a new Sacramento River crossing. It is felt that the necessity for this type of river traffic to the community, and the interferences and hazards which would result to it as well as to vehicular traffic caused by a grade level bridge at "L" Street, together with the revisions which would be required for railroad traffic at this point, and the expense involved in these changes justifies the elimination of this site as a grade crossing location. The location which is recommended as the best to meet the present needs of the community is at "M" Street with a type of structure sufficiently elevated to permit ordinary river traffic to pass below it at average water elevations without the necessity of being opened. It is felt that it would be for the best interests of the community if negotiations could be completed with Sacramento Northern and Southern Pacific Railroad to the end that the Sacramento Northern was moved off of "M" Street and the existing "M" Street Bridge. The Sacramento City Planning Commission found that the optimal plan would be to move the rail traffic away from any automobile traffic. The report called for city officials to negotiate with the Sacramento Northern Railroad to find a way to make the plan come to action. In the event that negotiations could not be completed to accomplish the revisions and construction as outlined in "Location No. 1" [auto traffic only], it is believed that second choice location is still at "M" street as a combination railroad and highway project with the highway passing overhead. The City Planning Commission Report recommended that railroad traffic be interrupted when river traffic underneath needed to be let through while highway traffic could go mainly uninterrupted on an upper deck span. No matter which recommendation was utilized, the City Planning Commission felt the most cost effective and feasible location to build a new bridge was at M Street. An improved entrance at M Street made practical sense in that the infrastructure to support a river crossing already existed at the site and no buildings would need removal. This recommendation also would sit well with city leaders since keeping people flowing through the downtown area and the Central Business District was the first choice of both the City Council and local business interests. The plan for a new bridge at M Street drew support from the Sacramento Chamber of Commerce and the Downtown Association. The M Street location also gained support from many of the citizens of Sacramento. For example, E.P. Montgomery called the M Street location the "... logical place for a bridge of that character. A new bridge is needed at that point in any event, and it can't be built any too soon." Regardless of which M Street plan the Sacramento City Council chose, M Street was the desired location of most involved. Furthermore, no matter which plan the Sacramento City Council decided to implement, careful negotiations with the Sacramento Northern Railroad would be the first major obstacle to the construction of any new bridge. Negotiating with the Sacramento Northern Railroad would not be an easy task. The Sacramento Northern Railroad built and maintained the M Street Bridge in 1911 and was "the sole property of the Sacramento Northern Railroad Company, the successor of all the railroad companies originally interested." Because of this, Sacramento Northern Railroad owned a fifty year franchise on the M Street Bridge that was not due to expire until 1960. Any construction at the M Street river crossing would require a halt of the railroad's use of the M Street Bridge, which in turn would result in a major loss of revenue to the railroad. Fully aware of the major problem associated with undertaking a new river crossing at M Street, on October 27, 1932, the Sacramento City Council by a vote of seven to two passed a resolution ". . . recommending to the State Highway Commission the construction of a modern, fast, operating, movable bridge across the Sacramento River at 'M' Street and the alteration of the approaches to the Southern Pacific Bridge, at a combined estimate of $700,000." The decision by the Sacramento City Council to replace the M Street Bridge demanded that negotiations with Sacramento Northern Railroad be held. Conferences were held between railroad officials and the city throughout 1933 and the beginning of 1934. The Sacramento Northern Railroad cited the high estimated costs of the bridge and the cost to them if any shutdown occurred as their major objections to the project. 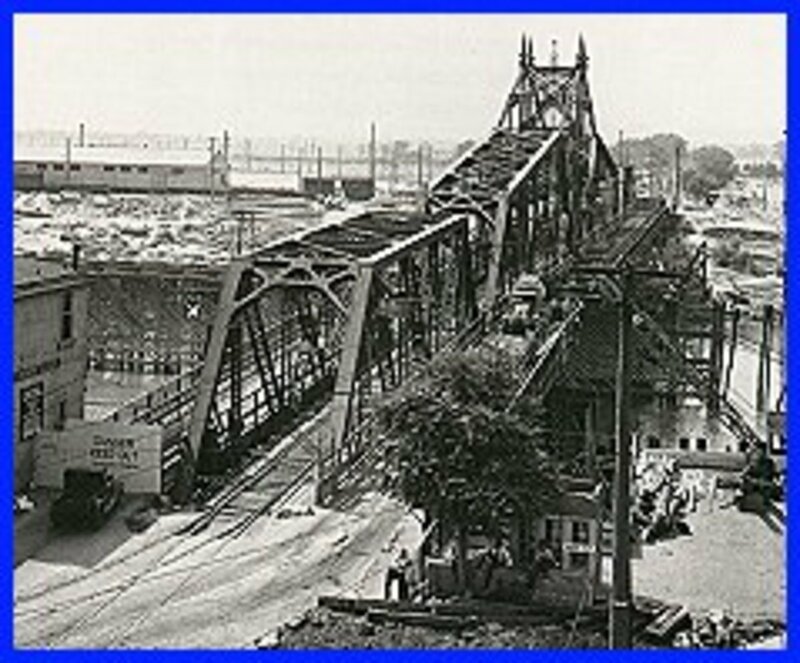 On March 8, 1934, Sacramento Northern Railroad signed an agreement relinquishing all rights to the old bridge in return for a franchise to operate a rail line over the new bridge at no fee until 1960. The agreement between Sacramento Northern Railroad and the City of Sacramento solved the major problem associated with building a new crossing over the Sacramento River. The agreement called for building the new bridge at M Street with only one deck. All sides agreed that building two separate decks would be far too expensive of an undertaking. There would be four lanes for automobile traffic and one center lane for railroad traffic. The railroads also agreed to change the location of the rail lines on Front Street to create a smoother surface for cars traveling over the new bridge. The problem of a possible shutdown of railroad crossings over the Sacramento River during the construction of the new bridge was also solved. As Dave Poole, a Yolo County resident remarked, "The problem was solved by erecting a temporary wooden bridge just adjacent up stream [to the Tower Bridge]". The County of Sacramento put up $12,000 for an expansion of the I Street Bridge to support automobile traffic during construction of the Tower Bridge and the State of California put up the rest of the money to build the temporary structure to support the Sacramento Northern Railroad's rail traffic into their Sacramento hub. The total cost of the temporary structure was $90,000. It was termed a lift draw, the same as the Tower Bridge. All other resemblances, however, between that span and the Tower Bridge stopped there. Neither the timber nor the bolts were painted. The counterweights were wooden boxes filled with gravel. That was the ugliest bridge that the writer has ever seen. It performed the job, however, for which it was built; during the 16 months that were required to construct the Tower Bridge, it never lost a train to the Sacramento River. The Sacramento Northern Railroad began crossing the Sacramento River using the temporary structure on February 4, 1935. Negotiating with Sacramento Northern Railroad was not the only problem facing the construction of a new Sacramento River crossing. Construction of the Tower Bridge would be incredibly expensive, especially in a time when the country was in the midst of the Great Depression. The original cost estimate of the Tower Bridge was $700,000.Many felt that this initial cost estimate was too much money to spend during a time when one-fourth of the nation's labor force was out of work.To make matters worse, the initial cost estimate was premature. After the designs for the bridge were completed in June 1934, and work began, the cost estimate rose to $900,000. The cost of the bridge was escalated because of an extra attention paid to the beautification of the bridge and an increase in the costs of materials, partly due to the Great Depression and new National Recovery Act safety codes. The overall cost of the Tower Bridge was also increased because of weather factors that caused numerous delays early in the construction. The harsh winter of 1934 and 1935 delayed construction progress. Heavy rains made working conditions harsh and dangerous. Not only were the banks of the Sacramento River flooded by high water, making the placement of the concrete piers that support the bridge harder to implant into the ground, the temporary bridge built to keep the railroads running was in danger of being flooded. River waters came within six inches of the highest watermark ever to be recorded to that point. At one point during a particularly heavy storm in March 1935, the temporary structure was completely submerged under water. Furthermore, driftwood flowing on the river was crashing against the temporary structure and had the potential of causing serious damage to the temporary bridge. Amazingly, however, rail service across the Sacramento River never stopped but many delays in the construction of the Tower Bridge occurred. Originally scheduled to open in September 1935, the official opening of the Tower Bridge was delayed for three months until December 15, 1935. The numerous delays caused by weather and the extra attention to the beautification to the bridge made the final cost higher than the original cost estimates. The cost was also increased because of increased costs for technical materials. For example, the new bridge was to use an elaborate electrical system to raise the lift deck that cost over $100,000; $25,000 more than the normal electrical system of the day. Once the money problems associated with constructing a new bridge were figured out, the actual construction of the new river crossing could begin. Construction of the Tower Bridge began on July 20, 1934. 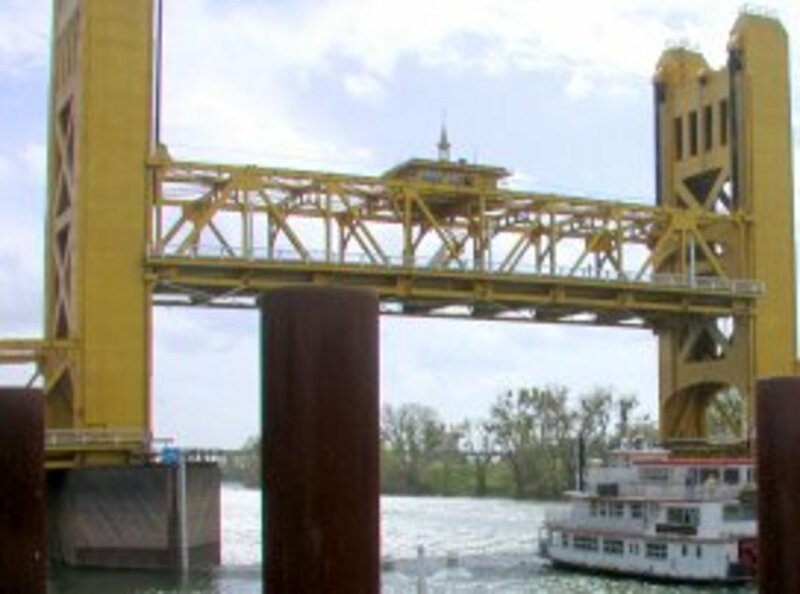 The Tower Bridge was constructed by the State Department of Public Works in cooperation with the City of Sacramento, the Counties of Sacramento and Yolo, and the Federal Government. George Pollock & Company was the construction company that was awarded the contract bid to build the Tower Bridge. Alfred Eichler, the legendary architect of the State Department of Public Works, was chosen to complete the designs of the bridge. The concrete piers that supported the bridge were the first part of the bridge to be constructed. The construction crew created concrete foundations that extended sixty feet under the high water level of the Sacramento River. The construction crew then had to build the temporary bridge for use by the Sacramento Northern Railroad. Next came the removal of the old M Street Bridge. The crew completed this task on March 11, 1935 and then began the hardest part of the construction. Instead of constructing another swing bridge like the M Street Bridge, Eichler designed a bridge with a vertical lift gate, the first vertical lift bridge on the California Highway System. Though using the vertical lift design was not considered groundbreaking engineering, the way the deck of the bridge lifted was. Instead of using multiple motors to lift the deck to allow river traffic to cross underneath, Eichler designed the deck to rise on only two electric powered one hundred horsepower motors by placing the lifting machinery inside a cabin that sits on top of the deck. 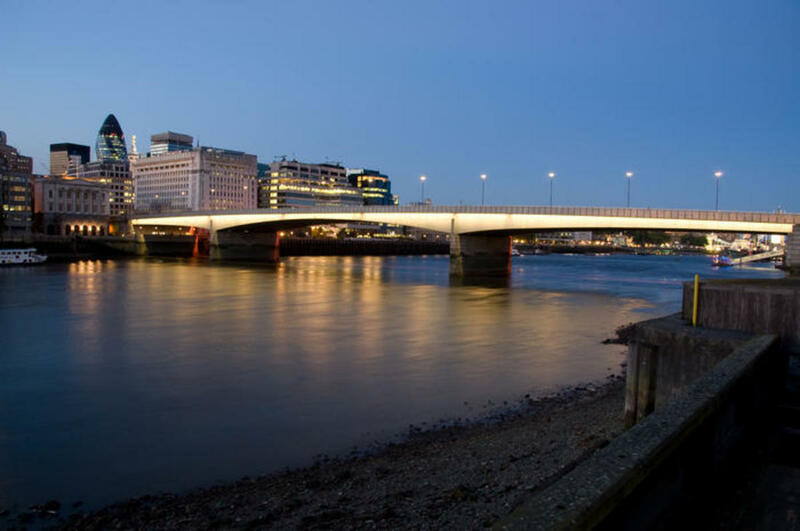 This allowed the towers of the bridge to be parallel to each other instead of angled or "battered," giving the Tower Bridge a more streamlined and aesthetically pleasing look. The towers of the bridge rose to a height of 180 feet and the deck of the bridge could rise up to 173 feet at a speed of one foot per second. The deck of the bridge could be raised to its highest point in only a minute and a half. The total weight load of the lift span was estimated at over 2,300,000 pounds. The counterweights to the bridge were placed inside of each tower. The design of the bridge made the delays at M Street more avoidable because the engineer inside the cabin on top of the deck can judge the height needed to allow the river traffic below the bridge to pass. Instead of having to open completely like the M Street Bridge, the deck only had to be lifted high enough to allow river traffic to pass, and then it could be lowered creating less of a delay to the motorists waiting below. Dave Poole remarked, "The advantage has been noted by thousands of Yolo County motorists who have observed that the swing draw of the Eye Street Bridge will open first to pass a downstream boat and that the Tower span will open later and close before the swing span does." Important as well, by using a vertical lift bridge as opposed to a swing bridge, more room was created for river traffic to cross under the bridge. With the lift bridge rising up to 173 feet more ships can pass under the bridge; and with the two pier design of the Tower Bridge, the center pier that held the middle of the M Street Bridge up was removed. The removal of the center pier doubled the passable width space beneath the bridge allowing more kinds of ships to enter upstream and removed a dangerous obstacle to the river traffic. 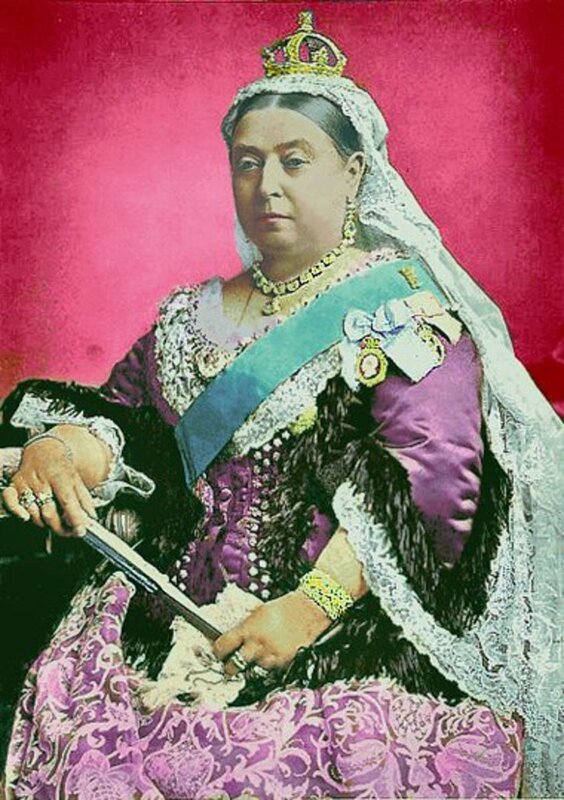 Another important feature to the construction of the Tower Bridge was the beautification process it went through. James Fisker stated, "Given such an important site, an aesthetically pleasing design for the new bridge had clearly been in order, and the Bridge Department of the California Division of Highways, working closely with the office of the State Architect, found a suitable answer." The architect and the bridge builders took every effort to make the bridge beautiful. The lift towers were sheathed in bolted and riveted quarter inch plate steel, creating a streamlined effect. The counterweights were also treated the same way, a technique later used on the San Francisco Oakland Bay Bridge. Steel frames filled with concrete served as the counterweights to keep the counterweights hidden. With the counterweights hidden inside the towers, the Tower Bridge had a streamlined aesthetic appearance. The finish of the bridge was given the same attention. Instead of painting the bridge the ordinary black, the Tower Bridge was painted aluminum silver. Everything on the bridge was painted and specially ordered to give the entrance to Sacramento a more sparkling appearance. Not easy work, the Tower Bridge was meticulously put together for both engineering efficiency and aesthetic beauty. The work conducted on the bridge was no small task. George Pollock stated, "The construction of the Tower Bridge, with its concrete foundations extending sixty feet below the present water level and its steel towers reaching 180 feet above, required the use of almost every phase of the bridge builder’s art." The hard work and attention to every detail of the bridge paid off as in 1936, the Tower Bridge was hailed by the American Institute of Steel Construction as the nation's "most beautiful lift bridge." A.W. Knight, a visiting foreign engineer, remarked in 1937, "The bridge has a striking appearance, as can be seen from the photographs, and from an architectural standpoint is, I think, the outstanding lift bridge yet built in America." The completed bridge provided for two lanes for automobile traffic in each direction and a center lane for railroad traffic.Automobile traffic was protected from rail traffic by high concrete barriers. The roadway was built fifty-two feet wide and the railway lane was thirteen feet wide. The Tower Bridge was built 700 feet long and seventy feet wide. 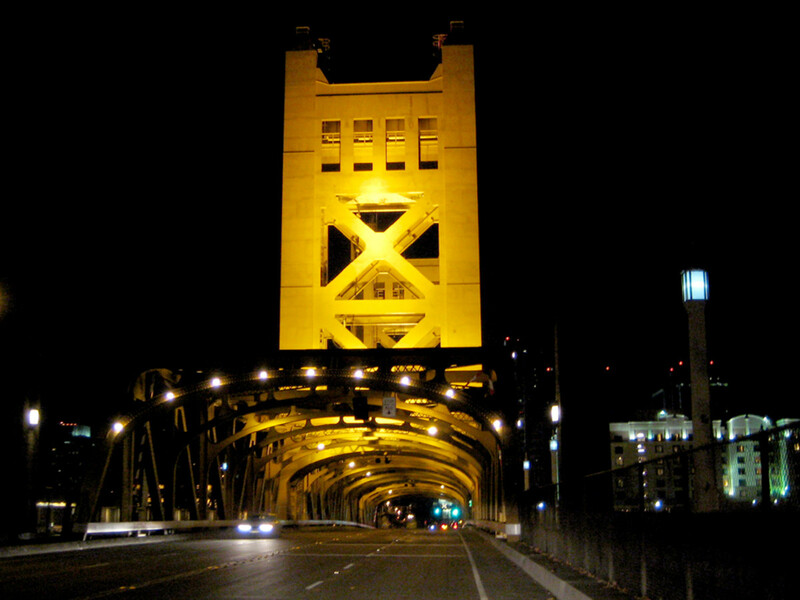 In 1935, its 180 foot height made the Tower Bridge the fifth tallest structure in Sacramento. The Tower Bridge was built during the early years of the administration of President Franklin Delano Roosevelt. The unemployed of the nation numbered in the millions. The policy of the administration was to employ as many men as possible on public policy projects. Federal funds went into the construction of the Tower Bridge; therefore every job that could be performed by hand was done by hand. As important as the labor force needed to build the Tower Bridge was to local people looking for jobs, the money that was put into the local community by the construction was just as welcomed. Furthermore, the money spent on materials for the bridge helped bring prosperity all over the state. For example, the steel used to construct the Tower Bridge was produced from all over the State of California, with most coming from the Columbia Steel Company of Pittsburgh, California. The construction site when completed used over six million pounds of steel. The Tower Bridge was a direct consequence of the "New Deal" and the Civil Works Administration initiated by President Franklin Delano Roosevelt. Even though the decision to build the Tower Bridge came in 1932, money to build the Tower Bridge was a major problem. Not until Franklin Roosevelt came into office did the funds become available to undertake such a task. "The Sacramento Chamber of Commerce had lobbied for federal funds for public works since the 1920s. Perseverance paid off in 1933, when New Deal Agencies made loans and grants for public buildings, schools, roads, parks and other improvements." During the Great Depression, President Roosevelt and Congress appropriated billions of dollars into public work programs to create new jobs for the millions of unemployed in the nation. Over $4 billion was spent on 34,000 construction projects including public buildings, highways, bridges and even photographers temporarily went on the federal payroll, producing public projects ranging from murals to national park guidebooks. Roosevelt made it clear that curbing unemployment was a high priority in his administration. In his second "fireside chat," President Roosevelt stated, "We are planning to ask the Congress for legislation to enable the Government to undertake public works, thus stimulating directly and indirectly the employment of many others in well-considered projects." The construction of the Tower Bridge was one such well considered project. During the 1930s many public works projects were completed throughout the country. Men were hired to do the actual work on many of the big projects like the Tower Bridge. Men were also hired to perform menial jobs such as shoveling, landscaping and picking up garbage. T. H. Dennis, a maintenance engineer for the State of California, wrote, "As indicated in the list showing type of work to be performed, all projects were similar in character and were selected to give the maximum amount of hand labor with the minimum amount of materials. . . ." In return for the hiring of all these workers, the state and federal government would pay for public works projects. In the construction of the Tower Bridge, the federal and state government supplied over $700,000 using funds mostly appropriated directly from New Deal programs. The final cost of the Tower Bridge was $974,000. The City of Sacramento gave $53,000 to the project and the County of Sacramento added $273,000. The County and City raised most of their funds by an increase in local gasoline taxes. The last $704,000 came from the State of California and the Federal Government. down M Street to the location of the new bridge. Sacramento area Boy Scouts then raised the American flag on the bridge for the first time. Then many of the important figures in the construction of the bridge spoke to the crowd gathered at the foot of the new bridge. The Mayor of Sacramento, Arthur Ferguson, remarked at the dedication ceremonies that ". . . these towers shall stand through the years indicating the true friendliness and welcome of the City of Sacramento." Earl Lee Kelly stated, "All of California should rejoice with us in the completion of this bridge. It is the only one of its kind in the state highway system and it was made possible by your tax dollars. It is a fine example of the friendly cooperation of the city, county, state and federal governments." Governor Frank Merriam was the last to speak at the dedication ceremony. Governor Merriam called the Tower Bridge, "Unexcelled in its architectural and engineering beauty and constituting an impressive western gateway to the Capitol City." When finished with his speech, Governor Merriam officially opened the bridge first to pedestrian traffic inviting all to come and view the great new structure. The Governor was also the first to cross the Tower Bridge by car. He led a procession over the bridge leading to the Broderick side, then his car turned around and he came over the bridge again. As Governor Merriam broke the ribbon officially opening the new bridge, one thousand homing pigeons were released carrying messages announcing the opening of the gateway to California's Capitol City." After the procession of cars across the new bridge, the vertical lift gate rose to its 173 foot height, and a legend of boats and barges passed underneath the new bridge with their horns and sirens blowing. We of the Sacramento Region whose industry is so closely linked with that ole man river which flows down to the bay, water the rich crops of the Delta and keeping this city of trees and gardens lovely the year round, feel a little closer to our neighbors, a little prouder to welcome strangers to our midst, with this splendid new structure towering at our west. Like a mighty monument to the growth of a great city it stands as one of the west gates to this enterprising community. It is as a mark of merit justly earned as the great marketing place for the vast natural resources lying to the north, east, south and west of the city, as well as for the commercial and industrial activity within the corporate bounds. The Completion of the Tower Bridge marks an important step in the onward march of the city to its inevitable position as one of the truly important and outstanding cities of the Pacific Coast. 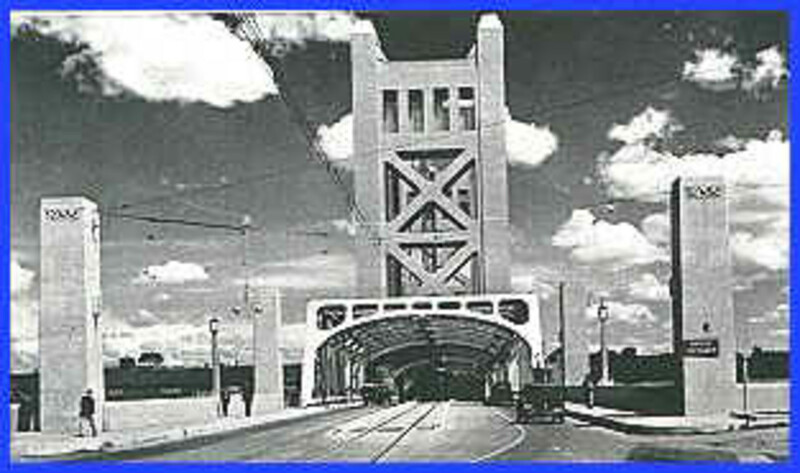 In an advertisement in the Sacramento Union on December 15, 1935, the Sacramento City Council stated, "Sacramentans can point with pride to the new Tower Bridge realizing their loyalty and adherence to the ideal of always building 'A Greater Sacramento' is the best insurance that can be had for the bright future that is the heritage of the Capital City of California." Today, the Tower Bridge still stands as the formal entrance to California's Capitol City. Gone are US Highway 40 and the Sacramento Northern Railroad. Gone are the railroad tracks on the middle of the bridge as are the tracks on the entrances to the city. However, the Tower Bridge remains today standing among the taller buildings of still rapidly growing community. 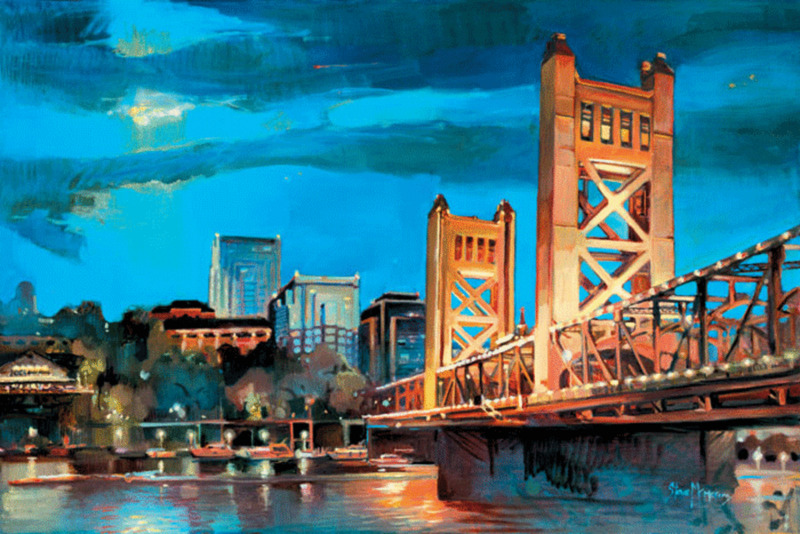 Today, the Tower Bridge stands as an important architectural landmark for the City of Sacramento. 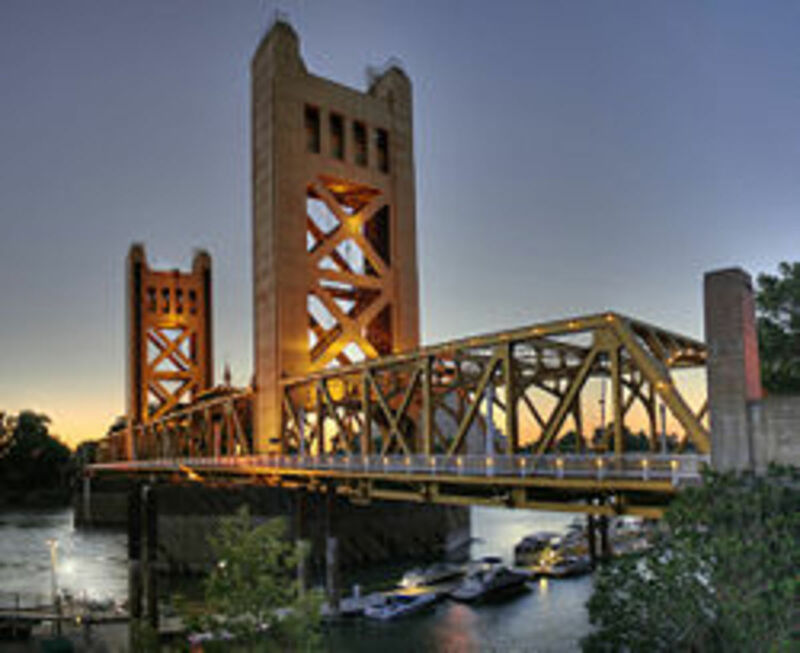 As the Tower Bridge stood as a symbol of Sacramento's future in 1935, today the Tower Bridge stands as an important symbol and reminder of Sacramento's past. "Charles H. Purcell" Collection. California History Room. California State Library. Library & Courts II. 900 N Street, Sacramento, California. Congressional Record. February 1934 - December 1935. California State University Sacramento Collection. University Microfilms. Ann Arbor, Michigan. Department of Public Works. 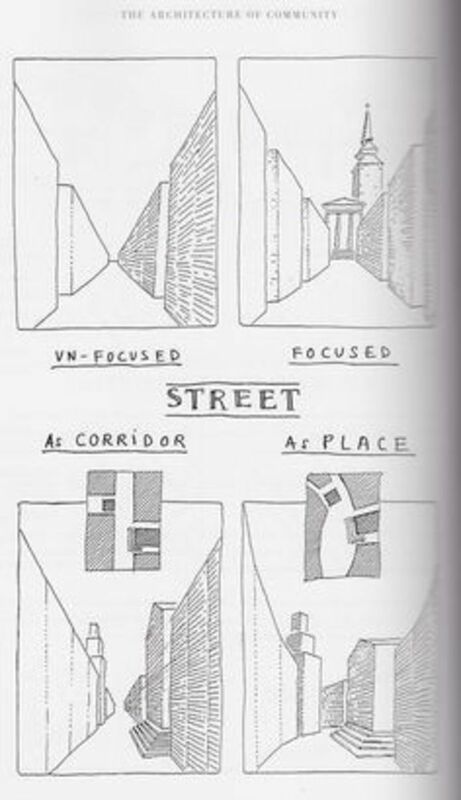 Division of Architecture Design Section Records. Architectural Drawings & Photographs 1925-1964. California State Archives. 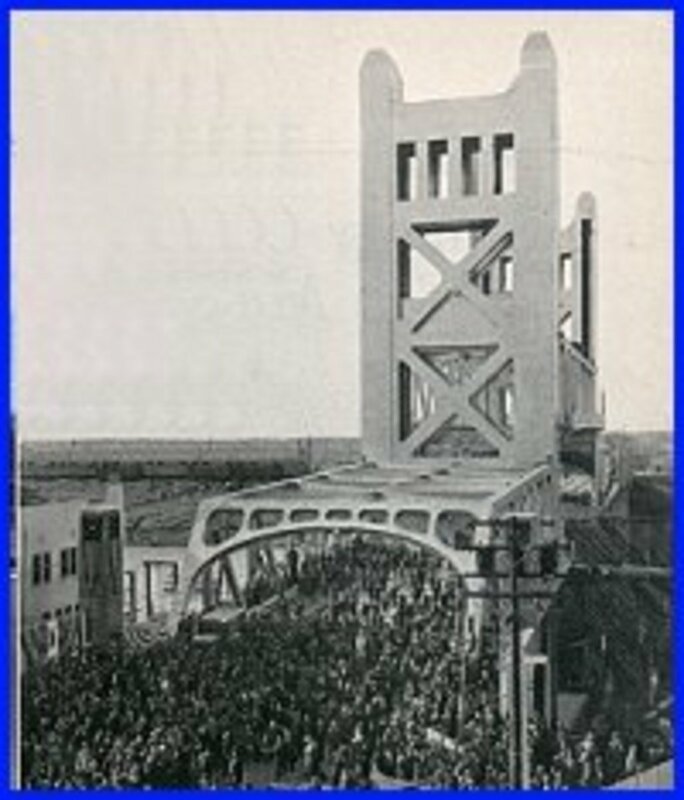 "Governor Merriam Opens $994,000 Tower Bridge at M Street, Sacramento," California Highway and Public Works: The Official Journal of the Department of Public Works, (January 1936): p. 2-4, 12-15. State Printing Office, George Monroe, State Printer, Sacramento 1936. Knight, A.W. An Investigation of the Design, Construction and Operation of Lift Bridges in the United States of America and Canada. Tasmania, Australia. Office of the Chief Engineer, Public Works Department. 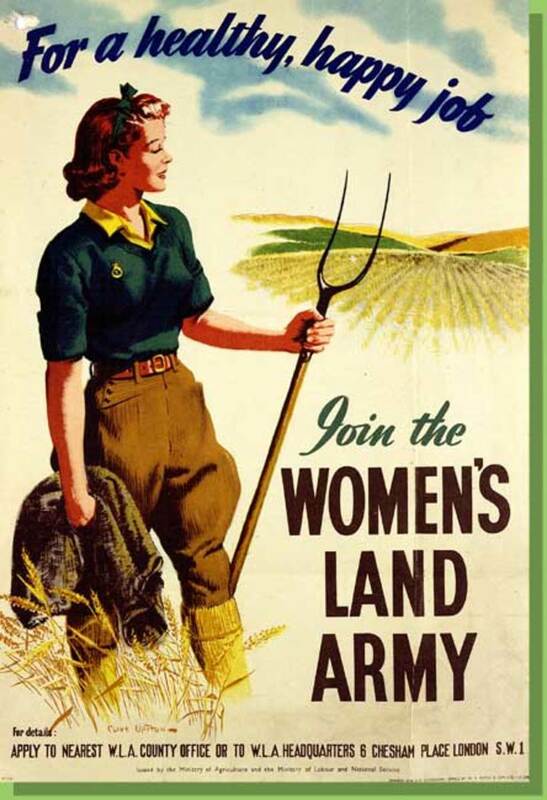 1937. Library of Congress Online Database, "American Memory: Built in America: 1933 to present," http://memory.loc.gov. Poole, Dave. "Yolo Recollections". The East Yolo Record. August 31, 1966. Sacramento Bee. July 1932-December 1935. California State University Sacramento Collection. Bay Microfilm Library Collection. Palo Alto, California. Sacramento Chamber of Commerce. "Dedication Program. Tower Bridge". December 15, 1935. Sacramento Archives and Museum Collection Center, Sacramento, California. Sacramento City Council. City Council Minutes. March 1932-December 1935. Sacramento Archives and Museum Collection Center, Sacramento, California. City Archives. Sacramento City Council. City Council Minute Records. March 1932-December 1935. Sacramento Archives and Museum Collection Center, Sacramento, California. Sacramento City Planning Commission. Sacramento River Bridge Location Report. Sacramento, California: October 19, 1932. Sacramento County Board of Supervisors Minutes. March 1932-December 1935. Sacramento Archives and Museum Collection Center, Sacramento, California. Sacramento County Board of Supervisors. Minute Records. March 1932- December 1935. Sacramento Archives and Museum Collection Center, Sacramento, California. Sacramento Union . July 1934 - December 1935. Micro Photo Inc. California History Section. California State Library. Library & Courts II. 900 N Street. Sacramento, California. Tower Bridge (Sacramento Collection) California State Railroad Museum Library, Sacramento, California. 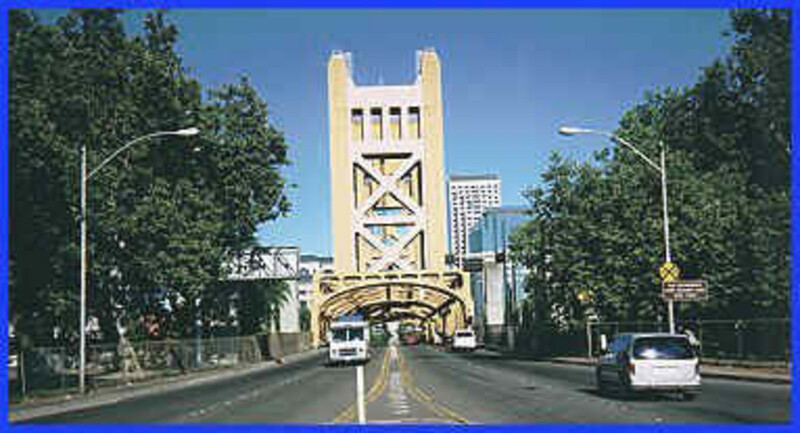 Walsh, Everett L. "Tower Bridge Wins Award," California Highways and Public Works: Official Journal of the Department of Public Works 14, no. 7 (July 1936): p. 6-9. Aiello, Kerri. "A History Lesson - The Tower Bridge". The Chrono. County of Sacramento Department of Human Assistance. December 2001. California Historical Society Official Website. www.californiahistoricalsociety.org. California State Archives. Finding Aids. http://www.aoc.cdlib.org. Fisker, James, "Sacramento River Bridge," Historic American Engineering Record, Western Regional Office, National Park Service, U.S. Department of The Interior, San Francisco, California, 94102. Frame, Walter "Scenes in Sacramento 1910 & 1920: Random Notes on an older Sacramento," Golden Notes 20, no. 22 (Summer 1979): p. 1-17, Sacramento County Historical Society. Hellstern, Mark, Gregory M. Scott, and Stephen M. Garrison. The History Student Writer's Manual. Upper Saddle River, New Jersey: Prentice Hall, 1998. Jackson, Donald C. Great American Bridges and Dams. Great American Places Series. Washington D.C: The Preservation Press, 1988. Miller, Pat. "Golden Anniversary For Landmark Tower Bridge." Going Places (Nov. /Dec. 1985). Rodda, Richard. "Sacramento's Streetcars: 1930, Golden Notes 32, no. 1 (Spring, 1997): p. 1-7 Sacramento County Historical Society. Swett, Ira L. Swett. "Through the Sacramento Valley: Sacramento Northern." Interurbans Special 26. Los Angeles: Pentex Media Group, 1998. "Tower Bridge History." 1999 www.highwayman-routes.com /tower_bridge_history. Turabian, Kate L. A Manual for Writers of Term Papers, Theses, and Dissertations. Sixth Edition. Chicago and London: The University of Chicago Press. 1996. Willis, Terry R. "Pages From Sacramento's History," Golden Notes 29, no. 1 & 2 (Spring and Summer 1983): p. 1-36, Sacramento County Historical Society. Interestingly, in all of my research for this article (which I wrote in college as a final paper to get by BA in history) the name change to Tower Bridge just happened. It was originally called the M Street Bridge. But, given the size of the Towers, which were unique at the time, I believe they just called it the Tower Bridge. Then businesses in Sac began naming things after it. But I could be wrong. Why is the Tower Bridge so named.